Tony Wakeford (Sol Invictus / Death In June) and Renee Rosen present the project THE TRIPLE TREE, a neofolk project ispirated to the British ancient esoteric tradition, brilliant atmospheres, cold and sad landscapes and melodic sounds. It Includes a bonus track from the original album sessions. This is the first issue of this great release for Tony Wakeford and family, one of his best collaboration extra Sol Invictus, great protagonist with the guitar and at the voice. 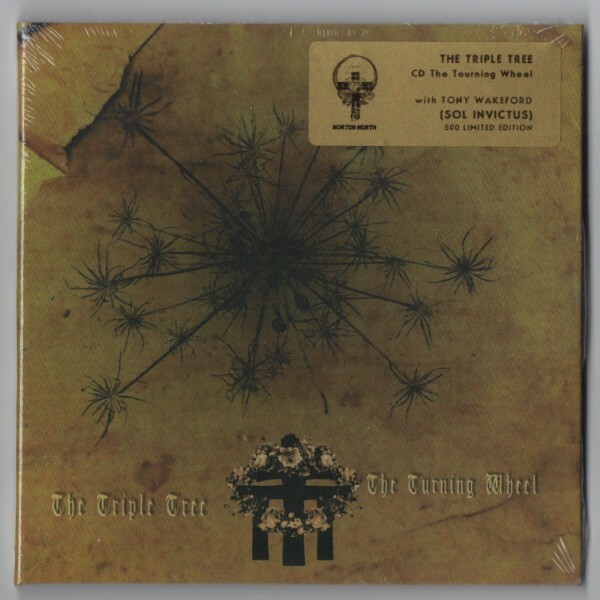 Customer evaluation for "The Triple Tree (Sol Invictus) - The Turning Wheel CD (Lim500)"